Hipster Brewfus: Blog Mail & Something Special For The Fans! I have another review, in the works, FRET NOT! but to tide you over I have a few things we can talk about! The first thing on my agenda is I received my first official Blogger Mail! And I'm going to tell you all about it! Before I really get into detail, I just want to say that this is huge to me. This whole week, between new followers on my Facebook and my Twitter, I have around 30 new followers. THAT IS SO EXCITING! I can not thank Connecticut Beer enough! Ok, now, mail. Yes, right. Check it! My good looks are paying off! Oskar Blues Deviant Dales – This is proof good beer comes in a can. 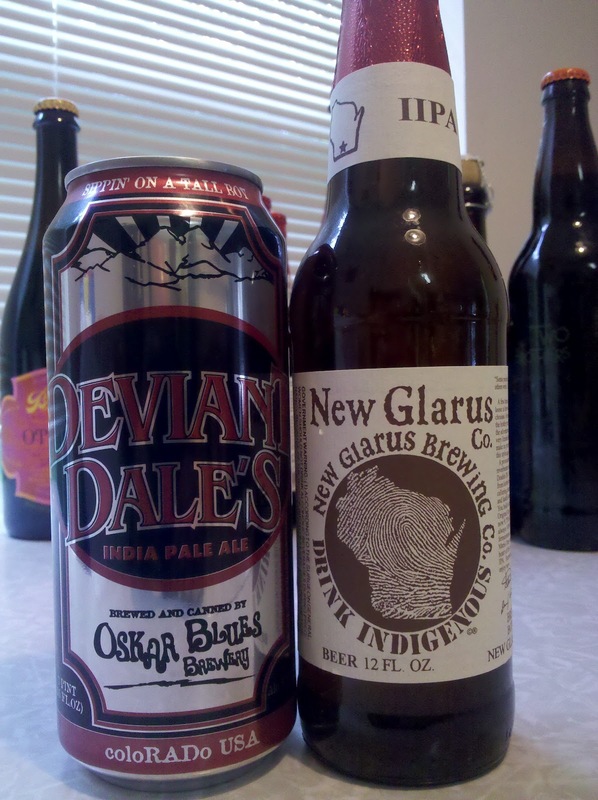 New Glarus IIPA – A GREAT brewery that only distributes in WI. 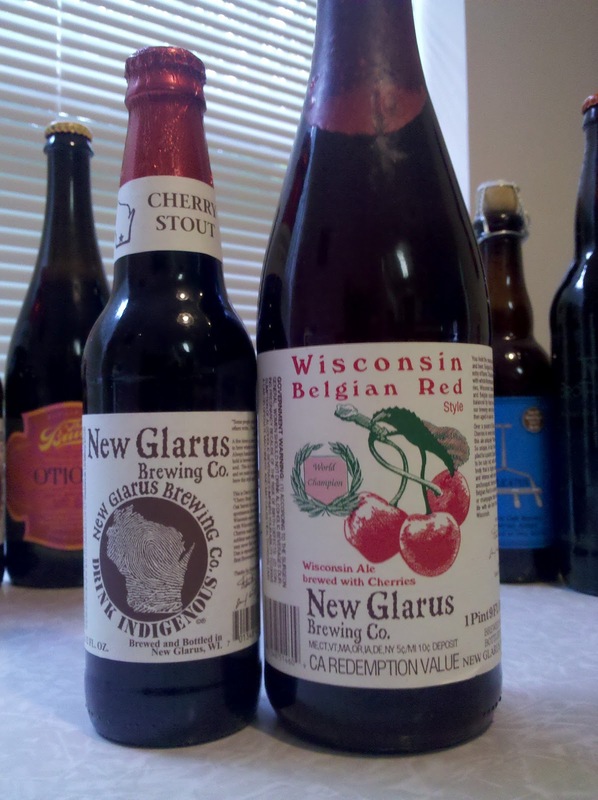 New Glarus Cheery Stout – I really like this beer, it’s a love or hate though New Glarus – Belgian Red, this will challenge what you think beer is. 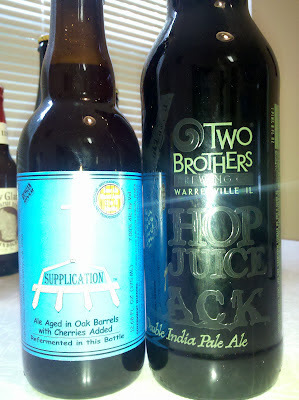 Two Brothers Hop Juice Black – Black IPA only sold at the festival I was at last weekend. I know, right? The generosity displayed completely floors me. I almost don't even want to drink them! Well, I mean I do. but, you know...Anyway, got any you're particularly interested in? 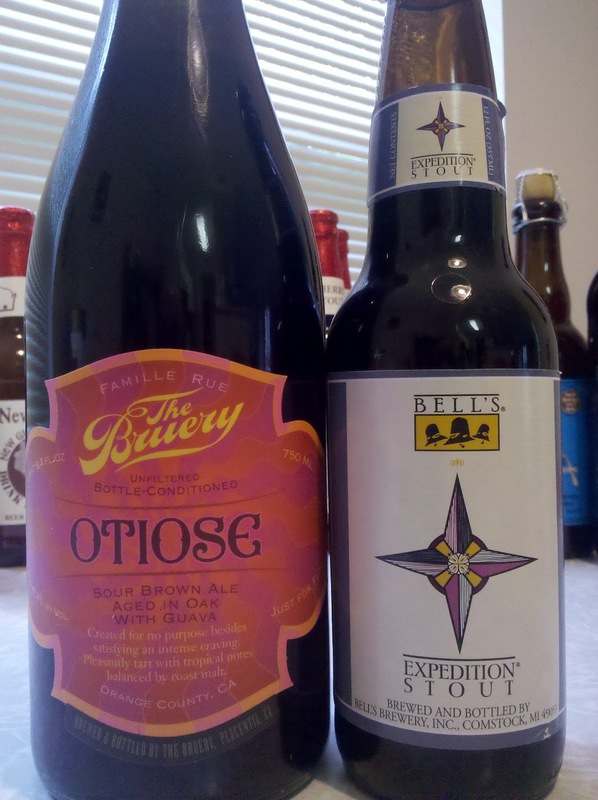 What do you think I should drink first? I haven't had ANY of these! As of now, I have 48 Facebook likes, 8 Google Friend Connect followers and 36 followers on Twitter. I suppose that makes it official. I have officially stated I'm having an official bog giveaway! Exciting! I suppose that will do it for me tonight! There will be a new review coming this weekend, along with hopefully some exciting local news! So stay tuned and have a safe weekend! Tell me you got all of this in the mail?! I totally got ALL of this in the mail from one of my readers! Wicked generous! New Glarus is great beer and really the only reason to go to Wisconsin. 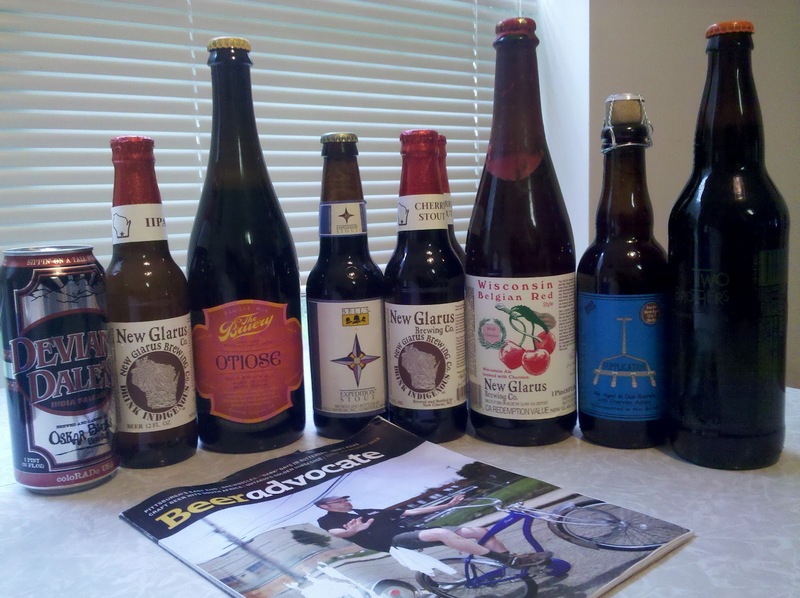 Yeah, that New Glarus was FANTASTIC! Going to have to have someone send me out some again!